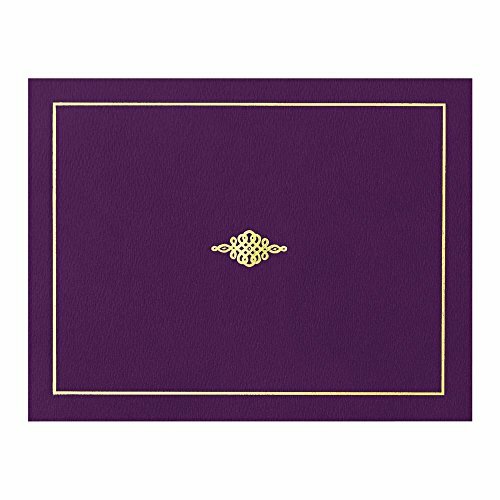 The stylish design and gleaming gold foil accents on these high-quality Certificate Jackets easily adds prestige to your award presentations. The 80lb heavy card stock jackets measure 9-½" x 12", folded and feature precut tabs to securely hold a full-size 8-½" x 11" certificate. Use certificate jackets to elegantly present and protect keepsake certificates, documents and diplomas. 10 Certificate Jackets per box, same color.